Bob Entler’s Berks County building and remodeling business began in 1981. (PA license number: 028078). He is proficient in new home building and all types of remodeling including additions, doors, windows, kitchens and baths. 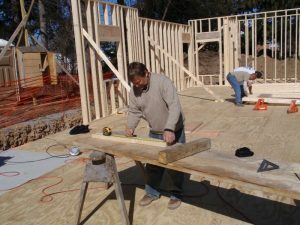 As a Master Carpenter, Bob can build to your specifications and blueprints or offer design services. His work is fully insured and his business is licensed in Muhlenberg Township where he serves on the Muhlenberg Township Planning Commission. He is also a member of the Timber Framers Guild for 20 years.